Leaves the pores clear and controls shine. 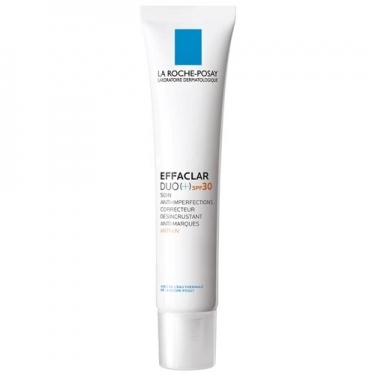 DESCRIPTION: Effaclar Duo (+) SPF30 from La Roche Posay is a care that associates active anti-imperfections and antioxidants reinforced by XL-PROTECT technology against UVA, UVB and pollution. It also protects against external aggressions to reduce imperfections and improve brand correction. 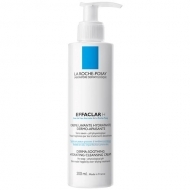 Gel-cream fresh, moisturizing and mattifying. 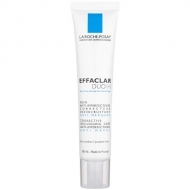 Suitable for oily skin with imperfections and acne tendency. Non-oily and non-sticky effect. Anti-adhesion texture of polluting particles. Non-comedogenic. Without oil. Tested in environment with pollution peaks. This product is not a sunscreen. In case of intense or prolonged sun exposure, apply a sunscreen and renew the application generously and frequently.